This is a great opportunity for admirers of Tarik Currimbhoy’s work to spend an informal evening with him, in his studio. For those not familiar, it’s a chance to meet one of the most innovative and inspiring Indian American artists, in a casual setting. 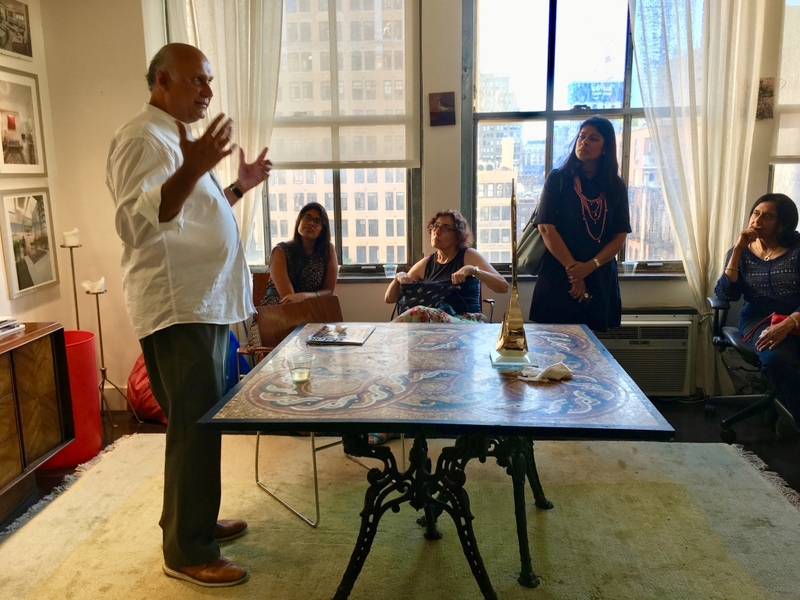 This evening is the first in a series of artist studio visits being organized by The India Center Foundation, as a way to promote Indian art in the US, and encourage engagement by the community and beyond. TARIK CURRIMBHOY: Classically trained in the arts, industrial design, and architecture, Tarik Currimbhoy is a trifecta of artistic prowess. In both architecture and sculpture, Tarik searches for tranquility, simplicity and tactility, expressed in purity of both form and material. Inspired by ancient architecture of building blocks resting on each other in tension and compression, Tarik’s sculptures are “stories of structure and gravity”, held together under compression in stone and metal. His design work has been published internationally and his sculptures may be found across the world in public spaces as well as corporate and private collections.